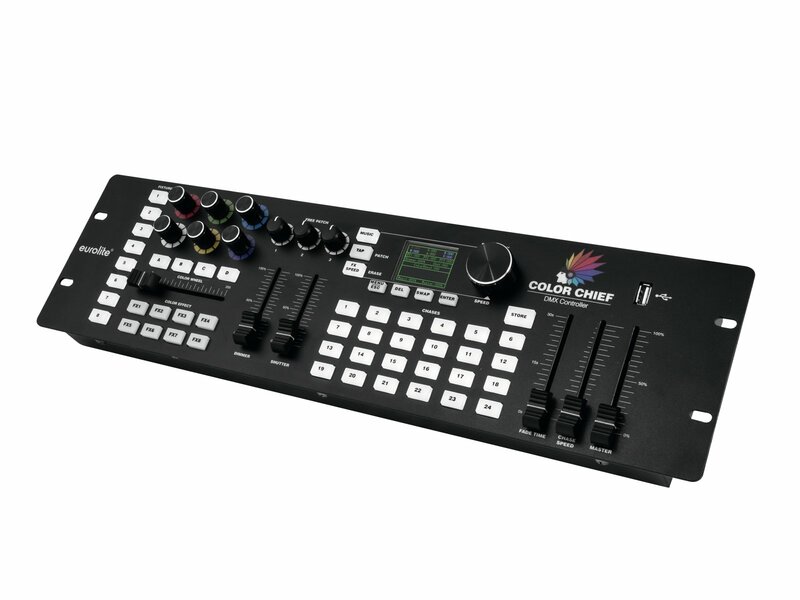 The Color Chief offers you an innovative control concept combining easy handling with astounding results. 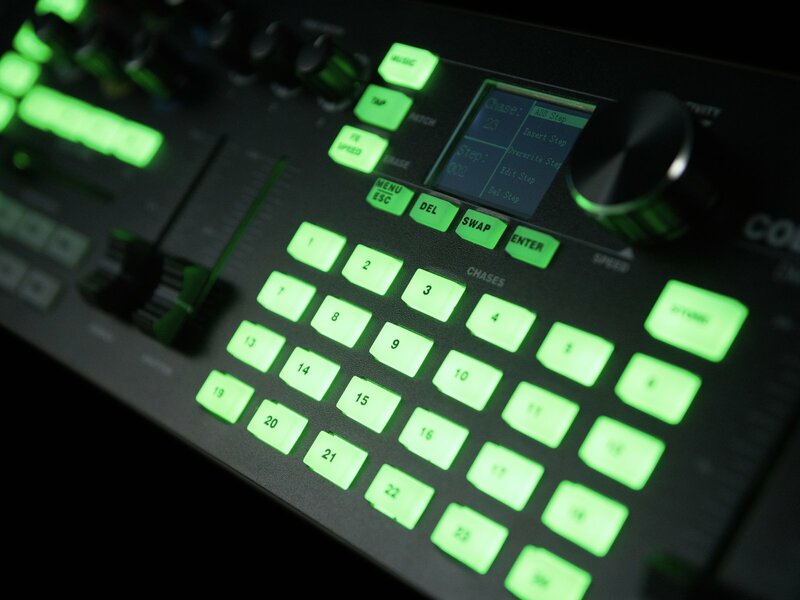 The DMX controller has been developed especially for both colored spot lights and simpler light effects. What makes the Color Chief so special is that it cannot only control individual spot lights but also fixtures with up to 4 individual segments. Thus you can easily control your KLS system or your light bars with 4 segments. 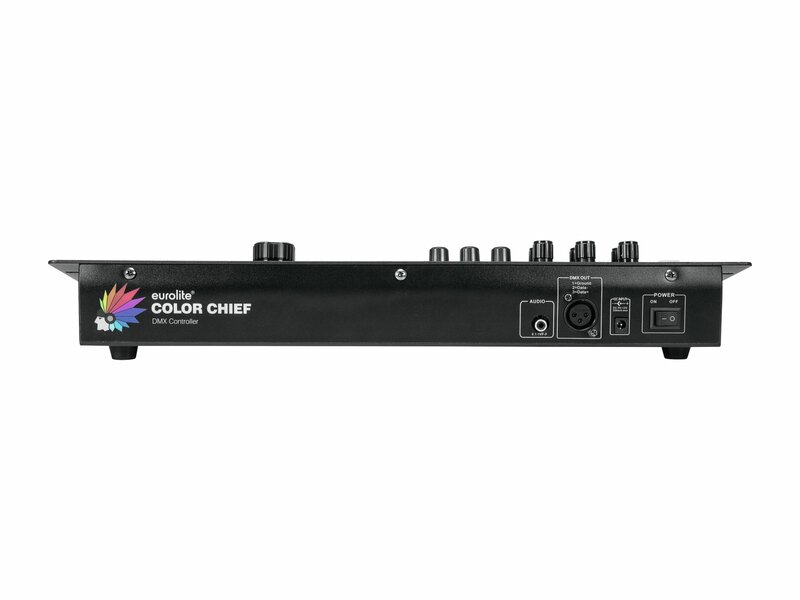 Altogether, the Color Chief can control a total of 8 spot lights with up to 4 segments each. As the name suggests, the Color Chief’s strong suit is its colors. It supports up to 6 colors, thus it does not matter whether you have a simple RGB spot light or a complex light effect unit with red, green, blue, amber, white and UV. Spot lights with individual colors, e.g. white light spot lights, can be integrated as well. 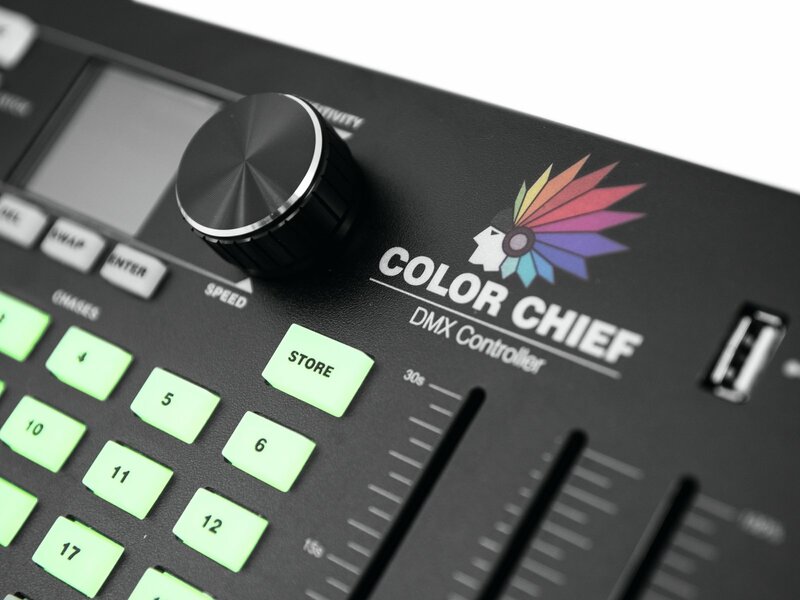 The Color Chief’s clear design makes it particularly easy to be always in control. Do you have a color effect with only one channel for various colors? Thanks to the color wheel function, this is not a problem for the Color Chief. 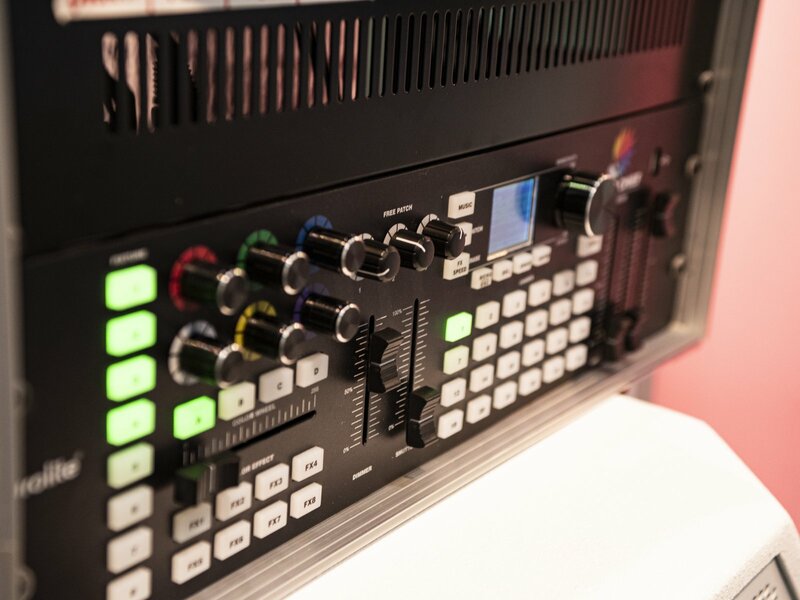 The 8 already recorded smart color effects make the configuration even easier for you. It has never been easier to create such impressive color effects. 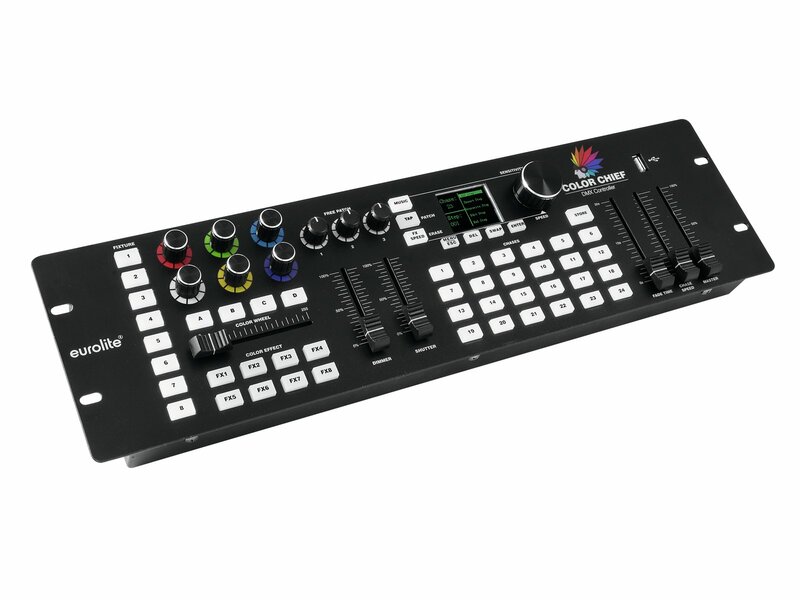 Of course, the Color Chief offers more than color control. You can also adjust the dimmer, shutter and three free channels, thus you can also control simple beam effects, lasers and projectors. Memorizing your scenes is just as easy. When you have created a nice scene and want to memorize it as a new step you just press the Store button. This way you can easily create individual scenes and chases which can be stored on up to 24 memory banks. However, you can also easily add steps at any position, edit previously memorized scenes or delete steps. 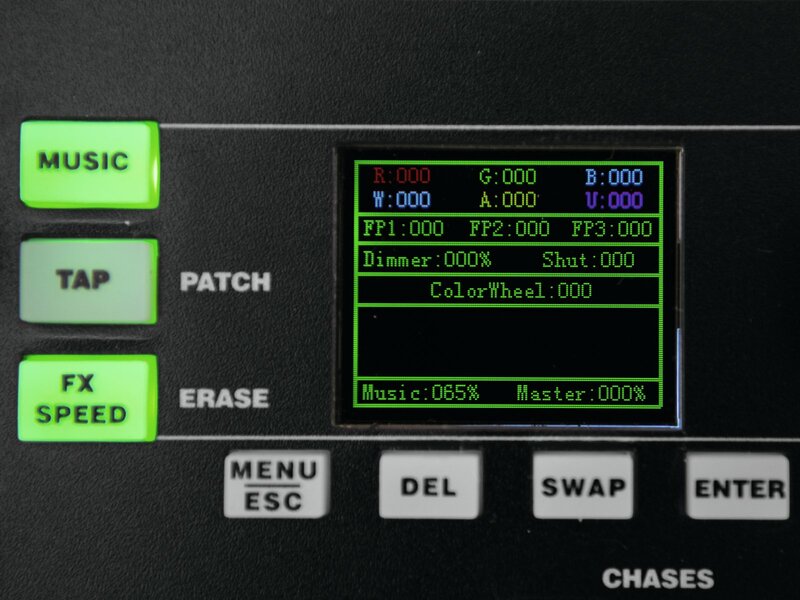 With the Color Chief you can run more than one chase, thus you can use several chases and scenes simultaneously. What is more, every chase can have its own running time and fade time, i.e. you can determine for each chase how fast it should run and if the fade effect should be hard or soft. Of course, you can change these settings anytime. 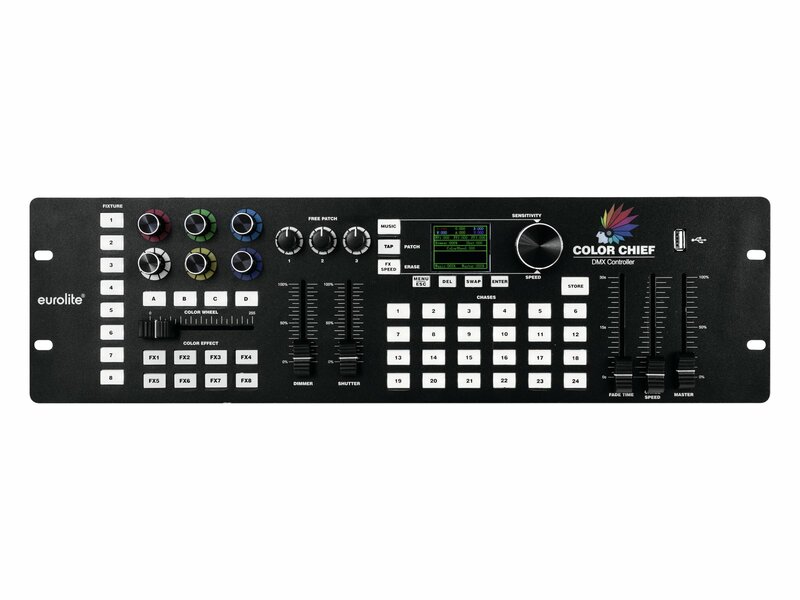 The Color Chief has a USB interface that can be used to memorize the entire control panel with all its settings and programs. You can memorize up to 24 complete setups on a USB flash drive. This way you can easily manage different shows or fixture arrangements.